So many refugees have have come to the tiny island of Samsø in recent months that they now make up six percent of its total population. The island is normally home to 3,700 residents. It has become home to 250 refugees in recent days. In October, a record number of around 3,500 refugees sought asylum in Denmark, and they continue to flow across the border; more than 300 arrived on Monday and last week over 900 refugees made their way here. It is expected that some of those new arrivals will find their way to Samsø, where the temporary reception centre can only hold 140 people. Authorities on the island have started to temporarily house the new-comers in vacation rentals. Local authorities say that they will allow the refugees to stay in vacation rentals until it is time for tourists to start arriving. Henrik Kjaer, a Samsø social worker, said that that there is room for more refugees. 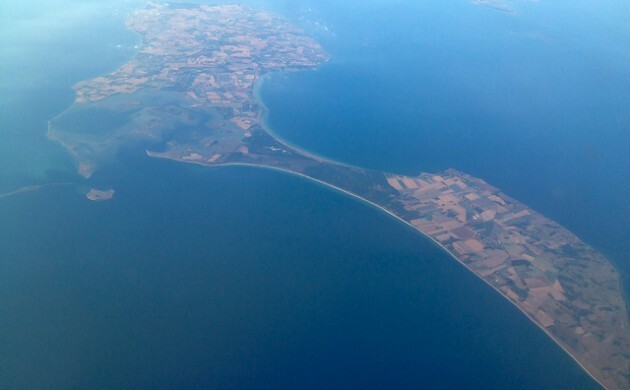 Kjaer said that Samsø’s regular population has welcomed the asylum seekers. Samsø is not the only place in the country struggling to house and pay for refugees. Local authorities across the country say that the situation is becoming “impossible”. Some have suggested the idea of setting up refugee ‘villages’, an idea supported by the local government group Kommunernes Landsforening and the Danish refugee council, Dansk Flygtningehjælp. Municipalities and support groups are asking for more money to house and support refugees, but the government has thus far declined to send more funds. Social and interior minister Karen Ellemann said that municipalities have already been given what she called “an extraordinary amount of money” to relocate refugees and PM Lars Løkke Rasmussen said that rather than more money, the situation calls for “a firm and fair asylum policy”.